Cheaper cars will proportionately see the biggest price rises, Volkswagen said Friday, with increasing safety requirements an additional burden on costs. "Volkswagen is using various resources to counteract rising costs," VW head of sales Christian Dahlheim said on a call with reporters. "Nevertheless, it is clear that it will not be possible to completely offset the higher material costs." "The challenges for our business won’t ease given the geopolitical volatile developments," Dahlheim said in a statement, adding that VW was well positioned to navigate industry turbulence. Global deliveries increased by 0.9 percent to 10.8 million vehicles. The Porsche sports car brand, the group’s most profitable division, improved sales by 4 percent, which partly offset a 3.5 percent decline at larger premium-car unit Audi. 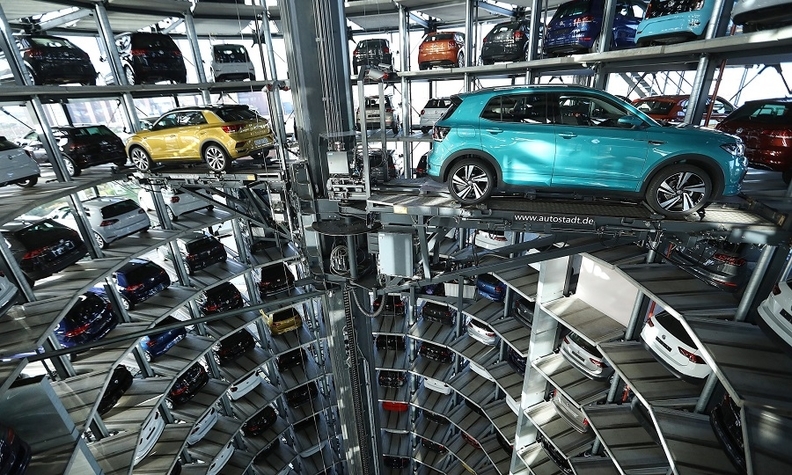 The main VW car marque, which accounts for more than half the group’s global deliveries, eked out 0.2 percent growth last year to 6.24 million vehicles. Mass-market sister brands Skoda and Seat also improved results. Sustaining growth in mass-market cars is set to become more difficult because of stricter emission rules, Dahlheim said. As a result, the company is reviewing its lineup of model and engine variants as rising costs bite, an issue affecting the entire automotive industry, "not just Volkswagen."